If you love those "this day in history" moments where we're retold major facts that happen "this" day throughout the years, you'll definitely love Timehop, that does the same... for your own life. Sometimes we forget that time passes swiftly. You may not realize it, but you probably have a Facebook account, or Twitter's, for several years now. 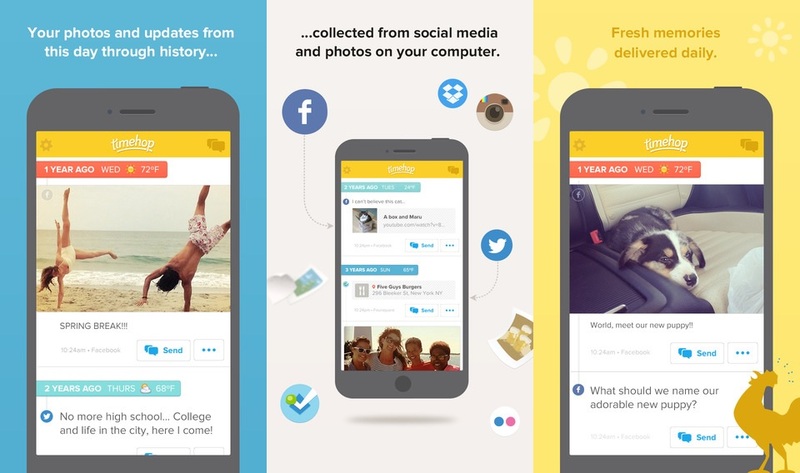 And that's precisely what Timehop (available for iOS and Android) relies upon to grab your data, from several different sources, to show you what you did one year, two years, or as far back as your digital history allows. It's the perfect way to keep alive some memories that might have been "forgotten" (I don't know about you, but I do tend to forget a lot of things) and at the very least it will be a strong incentive for you to start taking more pictures in order to have something to look for in the coming years. This may be just the thing you need to start each and every day with a smile on your face, and try to make the best of each day in order to surpass what you did last year.